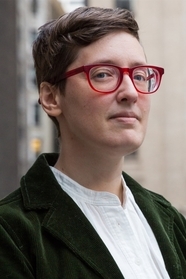 Alison Wilgus is a Brooklyn-based bestselling writer, editor and cartoonist who's been working in comics for over a decade. She attended the Undergraduate Film and Television program at the Tisch School for the Arts, and got her start working for Cartoon Network's "Codename: Kids Next Door" as a colorist and staff writer. Most of her professional work since then has been writing for comics, including the nonfiction graphic novel with First Second Books: Science Comics: Flying Machines, illustrated by Molly Brooks. In her spare time, she co-hosts a podcast about comics publishing called “Graphic Novel TK” with Gina Gagliano. Alison Wilgus's Chronin Volume 1: The Knife at Your Back: is an action-packed, time travel adventure--first in a graphic novel duology. Her name is Mirai Yoshida. Take to the skies with Flying Machines!